Aquariums combine incredible movement and stunning color into a living work of art for your home or office. 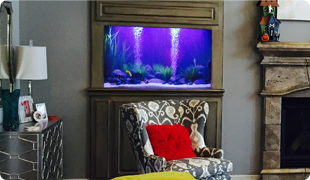 Aquarium Creations is a custom aquarium design and installation management company that can create a unique aquascape to enhance your décor. In addition, we offer complete maintenance and relocation services for your saltwater and freshwater aquariums. Call today to see how we can help you achieve your vision. 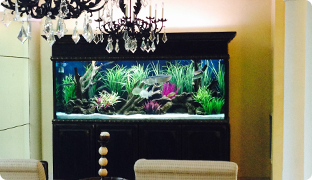 A beautiful aquarium has the power to mesmerize. We specialize in innovative, custom designs that naturally enhance the environment of your home or office. 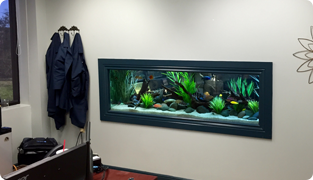 Does your existing aquarium need an update? New fish, plants, and bottom cover will totally (and quickly) refresh its look.